Everybody knows that first impressions count. In business it is often the only chance you get to make an impact with a potential new customer. 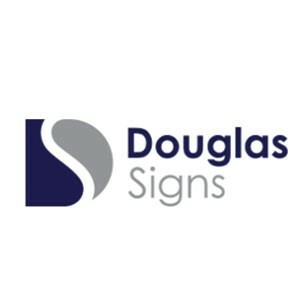 At Douglas Signs and Design UK Ltd you can count on us to help your business make the best first impression. As a member of the British Signs and Graphics Association we take seriously our reputation to deliver the clients requirements. International companies such as Subway and Dominos Pizza along with leading UK companies such as Amey, Thames Water, British Red Cross and 99p Shops have entrusted their brand and their signage requirements into our experienced and capable hands. Our Services include Project Management; this will involve detailed location surveys and way finding audits that will enable us to create an exact signage brief. During a consultative process we will advise on legal requirements such as planning laws or the Disability Discrimination Act. Our Design Team can work from your brief or interpret your ideas. Whichever option we have the skills and knowledge to deliver signage solutions. We have the experience to provide design input, offer advice on materials and provide a signage requirement that will be functional and enhance your business. No matter your budget we can create a sign for your company. All manufacturing is carried out in house blending traditional sign making skills with the latest technologies and materials. Experience tells us that the less links in the chain the stronger it is. We control every process to the benefit of our customers in service and in price. Health and Safety and its signage are a key part of every business, Douglas Signs and Design UK Ltd can provide detailed signage audits advising on the latest legislation and able to supply from a full range of products that comply with all British Standards From a one off bespoke sign to a major signage project experienced fully trained, professional signage engineers carry out our installations. With fully equipped teams spread across the UK we offer a 24 hour, seven day a week nationwide service. Further information on our products or for our dedicated health and safety brochure visit www.douglassignsukltd.co.uk or call us on ….. We look forward to hearing from you no matter what your requirement. Edit Douglas Signs & Design UK Ltd.